Oriented towards an international audience, All Spins Win is a brand new online casino that offers a fun collection of video slots and virtual table games, as well as massive bonuses for new players. It comes with a straightforward instant-play platform that takes you to an exciting adventure into the world of iGaming. 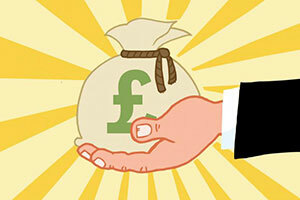 Its website is easy-to-use, mobile friendly and guarantees convenient and reliable payouts. Casino enthusiasts would quickly notice that there is little information posted online about the site but that is to be expected from an operator that is a newcomer on the online gambling market. 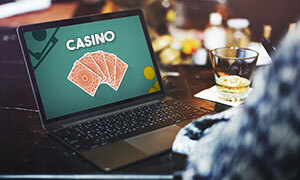 The online casino was launched in 2018 and is operated by All Spins Win through a Curacao licence. Still, the online casino has taken a number of security measures to ensure the online safety and privacy of its customers. It uses standard encryption, various procedures and policies to protect users’ personal and banking information. The operator has a smart approach to gambling that is worth mentioning – it encourages its customers to view it as a fun hobby and to play responsibly. At first glance, the casino looks fresh and modern with its simplistic design and pastel azure tones all over. But it is also created with user-friendliness in mind – the Home Page serves as a lobby where all games are sorted and classified and there are quick links to the Promotions page, the Cashier and the Help section. 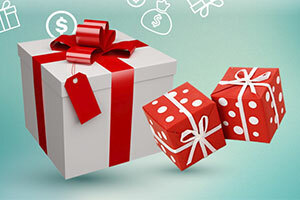 In terms of bonuses and promotions, All Spins Win Casino offers a gigantic Welcome Bonus of up to $3,000, as well as several other surprises for regular players. Before you head to the online casino, however, you should know that its website may be blocked in jurisdictions where it is not licensed or where gambling is illegal. Players from the United States and the United Kingdom, for instance, cannot register and play here for real money. Other restricted countries include Aruba, Belgium, Curacao, the Czech Republic, Denmark, France, Hungary, Ireland, Israel, Italy, the Netherlands, Romania, Serbia, Singapore, Spain, and St.Martin. 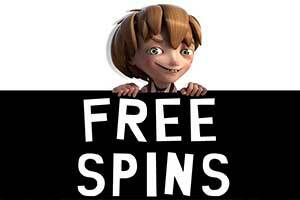 Online Since All Spins Win Casino went online in 2018. Deposit/Withdrawal The minimum amount you can deposit into the online casino is $20 and the deposited amount instantly appears in your gaming balance, whereas the maximum is capped at $2,000. You can withdraw a minimum of $20 and up to $5,000 per transaction. Withdrawal time depends on the method but usually, you receive your winnings within 3 business days. 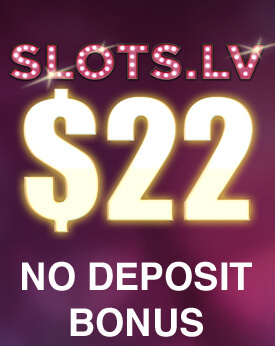 No Deposit Bonus The online casino does not offer no-deposit bonuses but make sure you check the Promotions page regularly for new surprises. Welcome Bonus All Spins Win Casino gives up to $3,000 Welcome Bonus on your first 5 deposits, as well as 100 Free Spins on Giovanni’s Gems. On your first deposit of at least $20, you get 300% match bonus up to $1,000, while on your next 4 deposits, you receive 50% up bonus up to $500. Only new players at the age of 18 and over who make a min. deposit of $20 are eligible and must claim the Welcome Bonus within 7 days from registration. There is a wagering requirement of 35x the combined amount of the bonus and the deposit before a withdrawal. Once you claim all 5 bonuses from the welcome package, you are eligible for 100 Free Spins on Giovanni’s Gems without additional deposit required. They must be used within 7 days and the winnings from the are eligible for a 35x playthrough requirement. The maximum withdrawal amount for the Free Spins is $100. 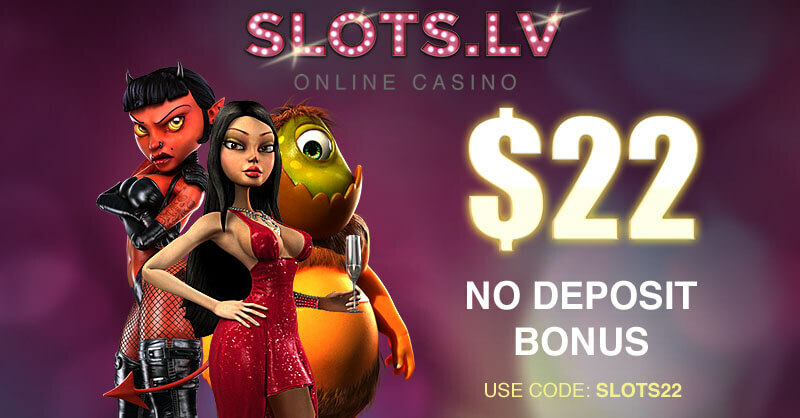 Regular Bonuses Each week, you can claim 20 Free Spins on every deposit of $20 or more. The bonus can be claimed 3 times a week and the game changes every week. Players who have made 5 successful deposits are eligible for this offer; there is a 35x playthrough requirement for the winnings; $100 max. withdrawal. There are several other bonuses that can be claimed regularly and they include Up to $100+20 Free Spins twice a week, 50 Free Spins on Monday, and up to $100 bonus up to 3 times a week. Each promotion has its own conditions and requirements and players should always read them all before claiming any bonus. Reviewing the Bonus Policy is also highly recommended. Loyalty Programme/ VIP Club Players at All Spins Win Casino enter the Loyalty Programme once they make their first deposit and with every bet, they will receive Reward Points that help them progress through the four levels of the scheme. You get 1 Point for every $10 wagered on slots, $50 wagered on table games, $100 on roulette and Sic Bo, $200 on video poker and craps, and $1,000 on Classic Blackjack. The points must be redeemed within 30 days or they expire – 500 Reward Points are equivalent to $5 bonus funds. There is also a VIP Club but access to it is exclusive and at the discretion of the casino. Software All Spins Win has taken a multi-platform approach, joining forces with top software developers such as iSoftBet, Pragmatic Play, Leander Games, Betsoft, Novomatic, Tom Horn Gaming, Habanero, and more. Popular Jackpots The lobby has a large number of progressive jackpot games including Neon Reels, Lucky Leprechaun, Diamond Express, Candy Kingdom, Gold Rush: Valley of Riches, and Bewitched. 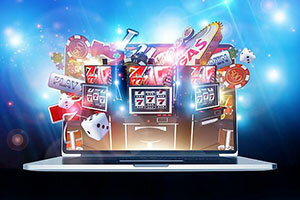 Game Types The online casino has put together a brilliant collection of games and players can enjoy hundreds of video slots, some fun retro slots, table and card games, as well as plenty of progressives. New titles are added on a regular basis, so the gaming library is only going to grow. Live Casino Currently, there are no live dealer games at All Spins Win, but the casino is clearly planning to launch a Live Casino soon. Mobile Casino The casino has no native app for download. Instead, it opens instantly in most mobile browsers with a simple and easy-to-use layout, beautiful graphics and fast loading times. Deposit Methods Players would find it easy to top up their account with a list of common deposit and withdrawal methods like MasterCard, Visa, NeoSurf, UPayCard, and bank transfers. Currencies All Spins Win Casino processes payments in several different currencies, including USD, EUR, CAD, AUD, SEK and NOK. Support Players who need assistance can email their queries to support@allspinswin.com or contact the casino’s support team via the live chat facility and receive help instantly 24/7. There is no phone support at All Spins Win Casino. Licences All Spins Win Casino is licensed and fully regulated under the jurisdiction of Curacao. All Spins Win Casino would be the perfect platform for all slots fans as the majority of the games in the lobby are video slots. There is also a limited number of classic three-reelers, some popular table and card games, as well as games that feature progressive jackpots. We cannot but notice the lack of video poker titles especially when considering the fact that this is one of the most popular casino games in the past three decades. The only video poker variation on offer is Tom Horn’s Double Poker, which has quite a low average return of 96.22%. Still, you can enjoy a couple of fun poker games but make sure you have the required knowledge and skills before risking with real-money play. The online casino offers a great alternative – you can play the games in a practice mode without wagering real money. In order to do that, however, you need to register and sign into your account. Speaking of the games on offer, we should point out that All Spins Win Casino does not rely on just one software provider for its games and instead, it works with several major gaming companies such as Betsoft, Pragmatic Play, Leander Games, Habanero, Tom Horn Gaming and iSoftBet. This guarantees more than just а great variety of games as many of the slots feature high-quality graphics, spectacular 3D animations and compelling storylines. Another thing players should consider before registering at All Spins Win Casino is the fact that it does not have a Live Casino section. As it is brand new, we can expect that some live dealer games and a few video poker variations would be added in the future. The majority of the games offered at All Spins Win Casino are video slots, but there are also fun 3-reel slots inspired by the classic fruit machines popular across Las Vegas since the beginning of the last century. Among the classic slots, we can see titles like Flaming Fruit, Royal Double, and Jingle Bells, all retro-looking creations of Tom Horn Gaming that come with Wild and Scatter symbols and bonus games. 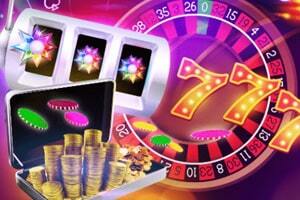 There are also a handful of classic slots by Betsoft, including Lucky 7, a game with 3 reels and only one payline. Despite the simple looks, however, the slot is quite interesting as it offers multiple viewing perspectives. The video slots category, however, is much more exciting especially if you prefer slot games with enhanced graphics, multiple paylines, and plenty of special features. There are popular titles such as The King, Stampede, Dr. Jekyll & Mr. Hyde, Gladiator, Mystery of Longwei, 12 Zodiacs, or Age of Caesar, House of Fun. One of the best games here is the fantasy epic Fire & Steel: War of the Wilds where the reels are in an interesting diamond-shaped layout. Of course, BetSoft’s hit video slot with a mafia theme The Slotfather II can also be played at All Slots Win Casino, as well as the African safari-inspired Stampede, which has 5 reels and 1,024 ways to win. The main focus at All Spins Win Casino may be on online slots but this does not mean there are no classic casino games you can play. The Table Games category is not overwhelmingly large and yet, it contains several versions of roulette, which you may find interesting. 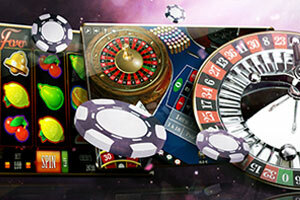 There are several European Roulette games by different software suppliers. 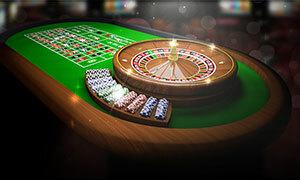 Betsoft’s release, for example, features a classic casino design and a single-zero wheel. You can place the standard outside, inside and neighbour bets, but there are no French-style bets available. The betting limits are from $3 to $500 per spin. Another version is provided by Tom Horn and players here are given the option to place racetrack bets, which is a typical feature of standard French Roulette. In fact, many software developers call their French-style roulette variations European Roulette and this game by Tom Horn Gaming is not an exception. The table limits are suitable even for beginner players who have never tried their luck on roulette before – they can wager from $0.20 to $100 on any spin. While European roulette is the most commonly played version of roulette due to the lack of the double zero pocket on the wheel, the American version is still preferred by some gambling fans. All Spins Win Casino has only one game of this type and it, once again, provided by Tom Horn Gaming. The design and table limits are the same as in the studio’s European version but there is no racetrack here. And of course, there is an additional numbered pocket on the wheel which increases the house edge from 2.7% to 5.26%. Blackjack is the certainly the most popular classic casino game and most online casinos try to offer their customers a good variety of blackjack games. The reason for this is quite simple – when you play Twenty-One, you do not rely on luck and chance to win and instead, you make decisions that influence the outcome of the game. All Spins Win Casino has a small, but interesting selection of blackjack games and players can choose the standard Blackjack or Blackjack Double Exposure 3 Hand. The latter, a 5-deck game by Habanero, offers a lower, even payout for blackjack, instead of the standard 3:2 payout. This comes as a compensation for the Double Exposure rule – the dealer receives two face-up cards and there is no hole card as in most American versions of blackjack. In addition, the dealer draws to 16 and must hit on soft 17. There is no surrender and no insurance bet available. When played with basic strategy, this game has an RTP (Return-to-Player) of 98.80%. 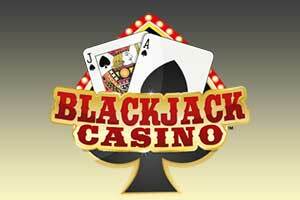 Several other versions of blackjack are offered in the lobby, including Perfect Pairs Blackjack, Hi Lo Blackjack, and Blackjack 3 Hand. In the two 3-hand versions, you have the option to bet on three hands simultaneously. When looking for a new online casino, many gambling enthusiasts look at the section of the website where the progressives are listed. Progressives, or games with progressive jackpots, are incredibly popular because of the potentially high jackpot you can hit if you are lucky enough. Unlike regular jackpots, which have fixed amounts, progressive jackpots start from a fixed amount of money and continue to rise, fueled by the number of bets placed on them. These are combined, pooled jackpots that can easily make you a millionaire. Working with studios such as Betsoft, Tom Horn and iSoftBet among others, All Spins Win Casino has a lot of games that feature progressive jackpots. Although these are not the biggest jackpots around, they are still quite attractive as you can win tens of thousands of dollars in a single spin. You can play various progressive slots by iSoftBet such as Lucky Leprechaun, Absolute Super Reels, Ultimate Super Reels, and Lucky Clover or by Magnet Gaming – The Vikings: Wheel of Valhalla, Diamond Express, Baking Day or Candy Kingdom. The games under the Casino Jackpots category are very different in terms of themes and designs, but there are two slots here, both by iSoftBet, that strike with beautiful graphics and animations. One of them is the lovely magical-themed Bewitched, while the other slot with a distinctive look is Neon Reels, which brings a futuristic feel to the old-school slot machine atmosphere. Everyone can sign up at All Spins Win Casino provided they are over the age of 18 and reside in a country where online gambling is permitted by law. It is also important to check whether you are playing from any of the restricted territories listed on the website such as the United Kingdom and the US. If you are allowed to play, click on the “Join” button in the casino lobby and enter all details that would be requested from you – name, physical address, telephone number, email, and preferred currency. You should then choose a strong password, confirm your registration and then open your email to verify your user account. Is All Spins Win Casino Fair? 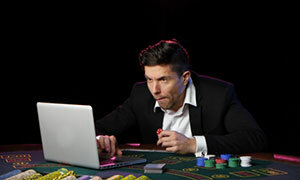 The online casino guarantees that all games in its lobby employ a Random Number Generator (RNG), so the outcomes of each round or spin are completely random and cannot be predicted. As an industry standard, the RNG provides 232 different values from a 4096-bit entropy pool and players can enjoy a fair and unbiased gaming experience. How Can I Be Sure of the Casino’s Security? All Spins Win Casino protects players from fraud and data theft by using 128-bit SSL (Secure Socket Layer) digital encryption. This technology keeps data transfer private over the Internet so any personal or banking information is shared only with the casino operator. In addition, all debit and credit details, as well as any other piece of information related to payments, are stored on secure, firewall-protected servers. Can I Access the Casino from a Mobile Device? Yes, All Spins Win Casino is compatible with most mobile platforms, including Android and iOS. Unlike some gaming sites, which offer their own, native apps, the casino opens directly into the web browser of your phone or tablet. In order to visit All Spins Win from a mobile device, you simply need to enter its web address in the browser and you will have instant access to more than 350 mobile games. You can also sign up, make a deposit or withdraw your winnings on the go.